The media sharks are in a feeding frenzy over the announced retirement of Cardinal Justin Rigali, Archbishop of Philadelphia. Naturally they want to tie His Eminence’s stepping down to the ongoing abuse scandal in the Pennsylvania archdiocese. With the disclaimer that I’m not really up on the situation in the City of Brotherly Love I’ll tell you what I do know. Every member of the clergy, even deacons, is required to submit his resignation when he reaches the age of 75. Cardinal Rigali did so last year. He submitted his letter to the Holy Father. Priests and deacons send their letters to the local ordinary (bishop). Historically, approval of these resignations can take a long time, sometime years, depending on the health of the retiree and on how important his work is to the Church. Cardinal Rigali has enjoyed a long and successful career. He served directly under Pope John Paul II at the Vatican before being chosen to be archbishop of Saint Louis. Among his accomplishments in Saint Louis included getting the Holy Father to visit here in 1999. I can’t imagine anyone in the Church working harder, or for longer hours, than Cardinal Rigali. Eight years ago he was elevated to the College of Cardinals and put in charge of the Archdiocese of Philadelphia. The abuse problems in that archdiocese were well known and obviously the Vatican hoped the new Cardinal would be able to calm things down. He wasn’t. I know Cardinal Rigali. He ordained me and I have a special regard for him as a shepherd and as a person. I’m afraid that the Philly situation was just too much for him. Seeing him on television today I thought he looked very tired. It’s time for him to get out of the public eye and get some much-deserved rest. If there’s a need to select a new Pope in the next four years, Cardinal Rigali will get to vote. We’re supposed to be a church of forgiveness, something that many of our brothers and sisters have a hard time remembering. There has been much sin committed in the past by people in positions of trust in our Church. I believe that our US Bishops have done a good job of removing abusive clergy. Clearly there are exceptions, just as there are in everything. Maybe it’s time to stop playing the blame game and to give credit where credit is due. Have a blessed and peaceful retirement, Cardinal Rigali. 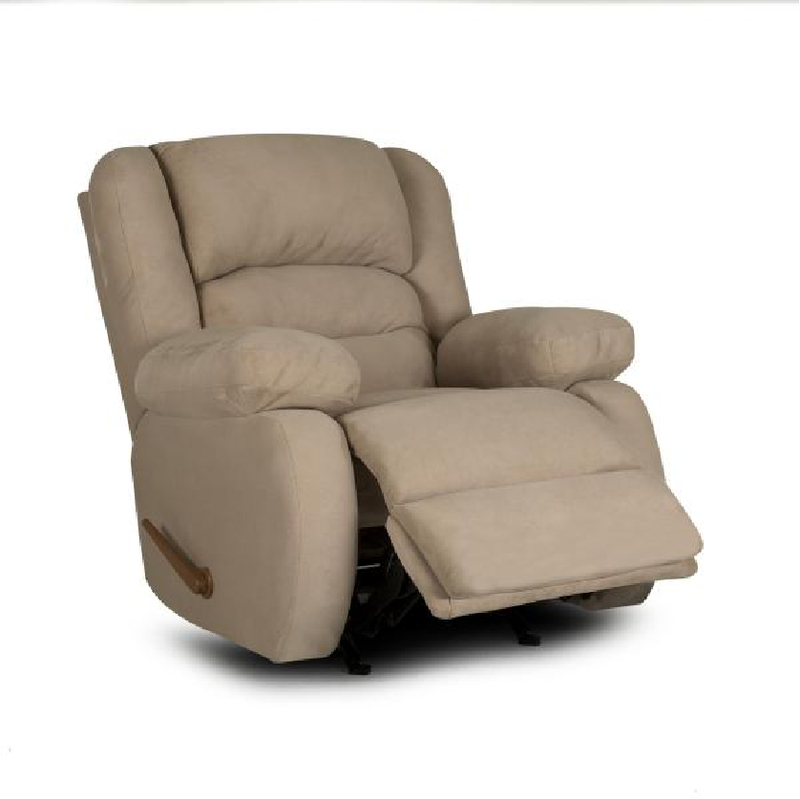 I don’t want to cause a panic or anything, but I believe that recliner chairs are a major cause of death in the United States. I have no statistical proof (more on that later) but anecdotal evidence has led me to this conclusion. A little over a year ago my mother-in-law passed away. We found her in her recliner, holding her rosary. Just last week my wife ran into a friend from the same town in Illinois where her mother had lived. This lady’s father recently passed away (you guessed it) in his recliner chair. This got me thinking. Some years ago a friend suffered the same fate. La-Z-Boys may be hazardous to your health! Before I’m accused of spreading panic, I’m going to go to the US Government and request a grant of $3 million to study this phenomenon. Why $3 million? I’m afraid if I ask for less they won’t take me seriously and if I ask for more they might turn me down as half of our elected employees in Washington are trying to reduce government spending. But This amount of money is chump change in Washington. Besides, I want to stay under the recliner chair lobby’s radar. $3 million seems like the perfect amount. Like I said, I think my research is going to lead to the discovery that these so-called pieces of furniture are actually death traps that should be outlawed, or at least should be required to come with seat belts and front and side air bags. This may add a couple of hundred dollars to the cost of a Barcalounger, but isn’t safety our highest priority? I used to have a really nice yard. Jan and I work hard to keep it that way but this year something happened. This year our lawn is full of weeds and bare spots. I don’t know what happened. I’ve spread fertilizer and weed killer and even lime but the weeds keep coming and the bare spots keep getting bigger. I’m afraid I’m going to have to get professional help. Since I’m dealing with a lawn and not a wheat field like the man in today’s Gospel, I can’t just wait until the end of summer and gather the weeds up and burn them. I need to do something now. But that’s not the big difference between my story and the parable that Jesus tells us today. The real difference is how the weeds got there. I’m pretty sure that an enemy didn’t come and sew weed seeds in my yard. I’m more inclined to suspect the weird weather we’ve been having and my own poor gardening skills. You’ll notice that neither of my thumbs is green. But weeds are weeds and one thing we all know is that once you have one, you’re going to get more. But let’s get back to Jesus story. There are two things in this parable that caught my eye. One is that the weeds were planted by “the enemy”. The weeds represent sins and the enemy is Satan, the Devil, Beelzebub. In last week’s Gospel Jesus called him “the evil one”. You know, the guy that most of our society doesn’t think exists. Even though his name comes up throughout our scriptures, he’s done a pretty good job of convincing us that he doesn’t exist. Most of us just aren’t afraid of him anymore. We even name sports teams after him. To make things more complicated Satan has come up with a way to make almost every sin feel good, or taste good, or look good. And, like the weeds in my yard, once one sin gets a hold of us, more are going to follow. The second point that jumps out at me from the Gospel is that the enemy planted the weeds in our hero’s yard “while everyone was asleep.” He didn’t come in the light of day. He came under cover of darkness when no one was watching for him. You and I won’t fall into the trap of sin if we’re constantly on the look out for it. But the sad fact is that most of us aren’t looking out for sin. Like I said, sin is almost always disguised as something good. Missing Sunday mass because you want to sleep in doesn’t seem like such a big deal. The bed feels so good. God’s not going to mind if I miss just this once. I can say some extra prayers this week to make up for it. Then, when I don’t get hit by lightning during the week I think to myself, “see, it wasn’t such a big deal after all.” That makes missing mass again that much easier. Before I know it, I’ve turned into a “C & E Catholic”. You know, Christmas and Easter. The seeds the devil planted while I was asleep have sprouted into a garden of weeds. The best way to keep weeds out of your lawn, or sins out of your heart is to replace them with something that’s good. If you have a thick, healthy lawn there’s no room for weeds. If you have a heart full of love, the love that Jesus calls all of us to practice, then there’s no room for sins. If you spend your time watching good, wholesome television or reading spiritual books, or listening to the right kind of audio material, sin won’t be able to get in. If you spend your free time helping others, there won’t be room for sin. One hour a week in church, while it’s a very good thing, just isn’t enough. When someone falls away from the Church we call them a “non-practicing Catholic.” The opposite of that would be a “practicing Catholic.” Like they say, “practice makes perfect.” You don’t become a world-class athlete by practicing once a week. You don’t make it to Carnegie Hall by practicing once a week. An occasional round of golf won’t get you on the pro tour. You need practice, practice, practice! Jesus begins today’s parable by referring to “The kingdom of heaven. That’s what this is all about; getting into heaven. The alternative is to be burned like the weeds. Think about that! How’s your spiritual garden? Does it need some work? If so, now’s the time to get started. It would be a shame to let sin keep you from heaven just because you were asleep when the enemy came. I have to admit I’ve been surprised over the last 24 hours or so at the reactions of conservative talk show hosts to the “not gulity” verdict in the trial of Casey Anthony, charged with killing her young daughter. First let me say that I have no opinion on the verdict itself. I didn’t sit in the courtroom for more than a month listening to testimony. The jurors did. I don’t know if this woman killed her daughter. Only she and God know for sure. I thought conservatives were pro-Constitution. I thought they were all about the Founding Fathers and their vision for our country. Yet, here they are griping about a decision made by a “jury of her peers” to let Casey Anthony go on the charge of murder. I hope we never reach the point where trials are held on television and the viewers get to vote “guilty” or “not guilty” by calling an 800 number like “American Idol”. Legal matters of life and death shouldn’t be decided by a majority vote of uninformed viewers. There would be no way to police the process to ensure that it wasn’t a popularity contest or that people weren’t casting multiple votes. Whether this jury made the right decision is a matter of opinion. It didn’t take them long to unanimously reach a decision. If Anthony did kill her daughter, she will ultimately face a higher Judge. If He finds her guilty the punishment will be much worse than anything the state of Florida has at its disposal. Remember, it’s not the jury’s job to decide whether this woman is guilty. Their job is to decide if the prosecution proved that she’s guilty, beyond a reasonable doubt. There is a difference. In this case it’s obvious that the prosecution failed. If she really did it, shame on them. Here’s what worries me. Many people, including the conservative pundits (who should know better) are passing judgement on Ms. Anthony, and on the judicial system. This does more harm than good. If the system is going to fail, and I’m not convinced that it did in this case, isn’t it better to let a guilty person go free than to lock up someone who’s innocent? That’s the “reasonable doubt” part. We would expect that the prosecutors (who work for us) who had three years to prepare a case and 33 days to present it to do a competent job. Either they did in this case, or they didn’t. We’ll probably never know for sure, but endless speculation after-the-fact does no one any good and has the potential to do much harm.